In most cases, dental insurance won’t cover cosmetic treatments because they only offer patients aesthetic improvements to their smile, rather than necessary treatments to protect their oral health. However, some treatments can be covered under certain plans, according to your cosmetic dentist in Crown Point. By choosing the right treatment, discussing your options with your dentist, and having your claim forms worded in the right way, your chances of receiving coverage can increase. Here are the treatments you may be able to get covered. When trying to use dental insurance, crowns and bridges are the most likely to be covered while still improving your smile’s appearance. If patients can prove that your crown or bridge is being used to provide additional support to a weak tooth or repair a cracked tooth, insurance companies are more likely to take this into consideration. However, if you’re only doing it to cover imperfections that don’t influence your oral health, it’s unlikely that it will be covered. Another important tip is distinguishing the material used for a crown or bridge. For example, insurance companies are more likely to cover amalgam (silver) restorations over metal-free restorations because they are seen as stronger and longer-lasting, even if that isn’t truly the case. In many cases, metal-free restorations are just as effective, but insurance companies will assume patients care more about the aesthetic properties and not the restorative properties. However, you may be able to be covered if you have an allergy or sensitivity to metal. Dental bonding is typically used to cover cosmetic chips, cracks, and discoloration that isn’t affected by teeth whitening. In these instances, insurance doesn’t cover these treatments. However, if you sustained a dental injury, you may be able to get it covered if it’s considered a “repair.” This distinction is crucial if you want your insurance to cover any portion of treatment. 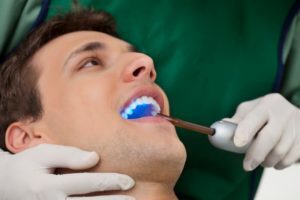 If you intend on getting veneers for the first time, it’s extremely unlikely that you’ll be covered since they are purely a cosmetic treatment. However, some plans do offer coverage for replacement veneers since they are considered to be “repairs” under certain plans. When speaking with your billing specialist, make sure to use the term “repair” or “replacement” when filling out the claims form. Insurance companies are more likely to cover it when they read terms like this and far more likely to decline a claim if they do not. If you spend the extra time getting your treatment pre-authorized, you can receive an outline of your estimate. This includes information regarding who will pay for what in the procedure you’re seeking. This will help you plan ahead of time, help you avoid surprise expenses, and act as a good leverage tool. Have more questions on how your cosmetic treatment can be covered? Schedule an appointment with your dentist in Crown Point today to learn more! Dr. Danny Hayes , cosmetic dentist in Crown Point, IN, earned his DMD degree from the Temple University School of Dentistry. He’s also a member of the American Academy of Cosmetic Dentistry and has pursued continuing education in cosmetic treatments, as well as fixed and removable prosthodontics. To learn more about his practice, contact him through his website.